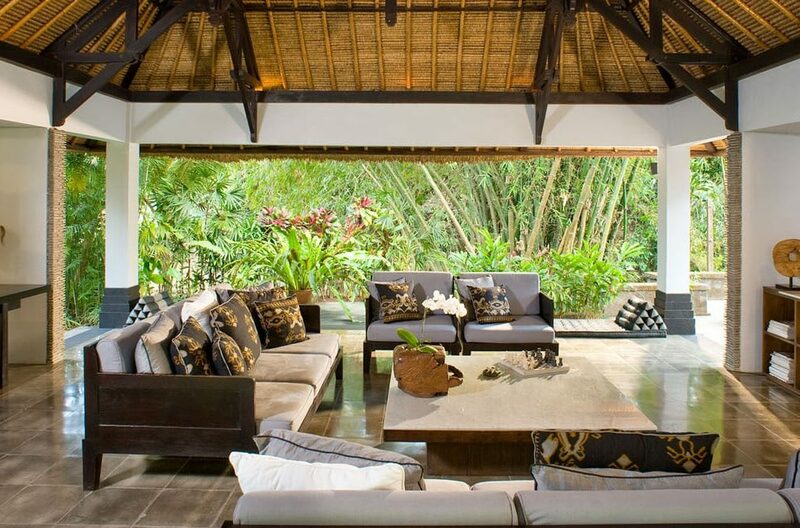 The main living pavilion is open-sided and fan-cooled and features a large timber dining table and accompanied by by ten comfortably cushioned rattan chairs. 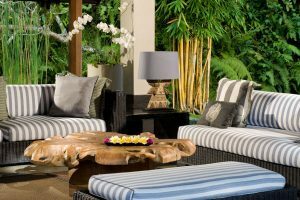 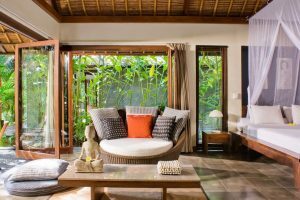 Also acting as the main lounge area the space rattan sofas, a surround-sound music system and adjacent is the fully equipped kitchen and a service bar with three bar stools. 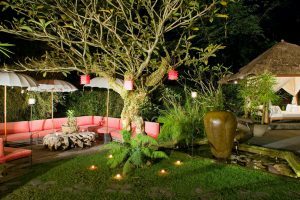 A few steps away is a second open-sided pavilion with a two-tiered roof with a 42-inch satellite TV with DVD player and library of movies. 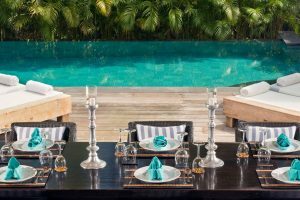 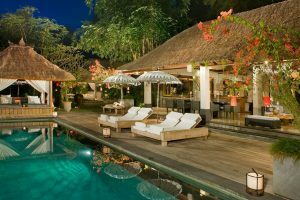 A large wooden deck surrounds the 12-metre green-stone swimming pool with another alfresco dining area and cushioned bale. Six bedrooms all with king size beds provide acomodation for 12 guests. 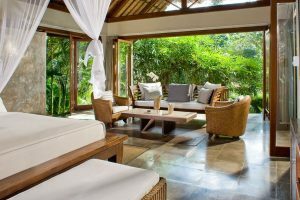 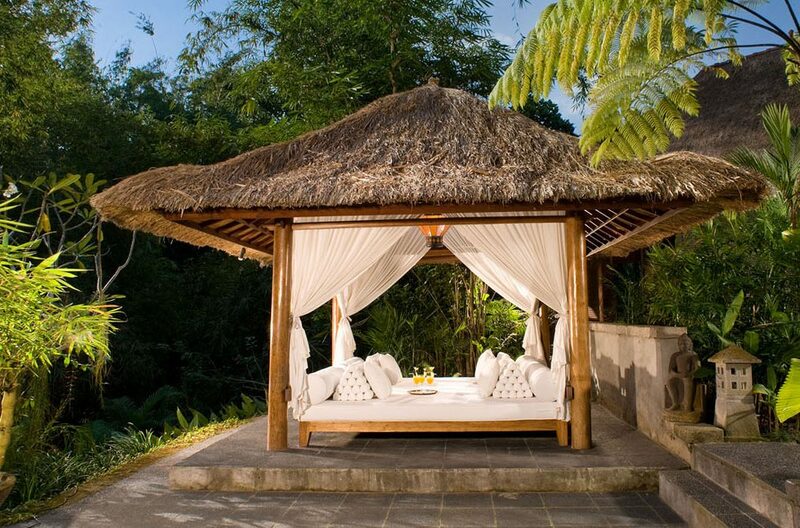 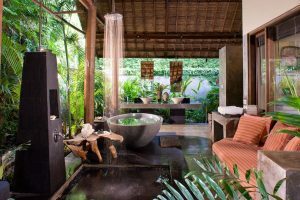 All six luxurious bedrooms at Villa Maya Retreat are housed in alang-alang or ironwood-shingle roofed pavilions with high-vaulted ceilings. 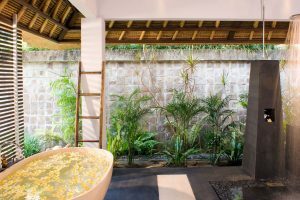 Polished terrazzo floors, en-suite bathrooms and individual patios along with air-conditioning are features of all bedrooms. 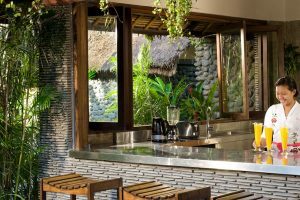 At Villa Maya you will be served by a warm, friendly and professional team of staff who are all ready to make your holiday in Bali the perfect getaway experience. Staff & Services include Villa manager; 4 housekeepers; chef; gardener/pool attendant; night-time security guard. Masseuse and babysitter on request. 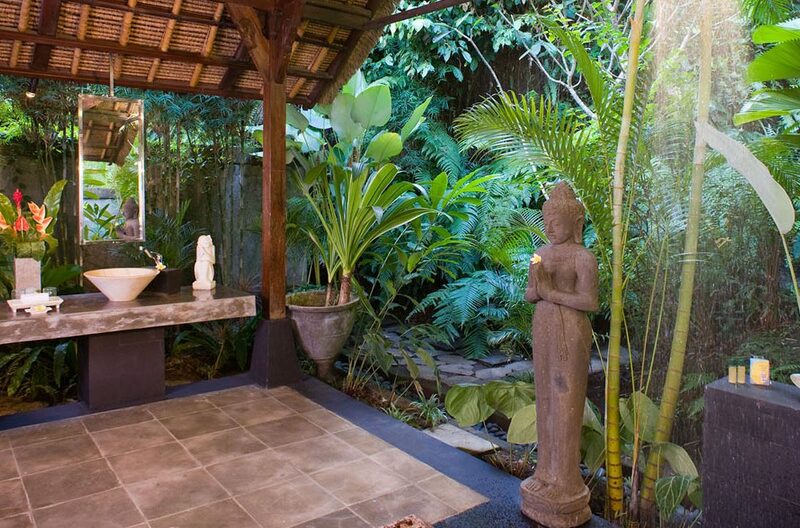 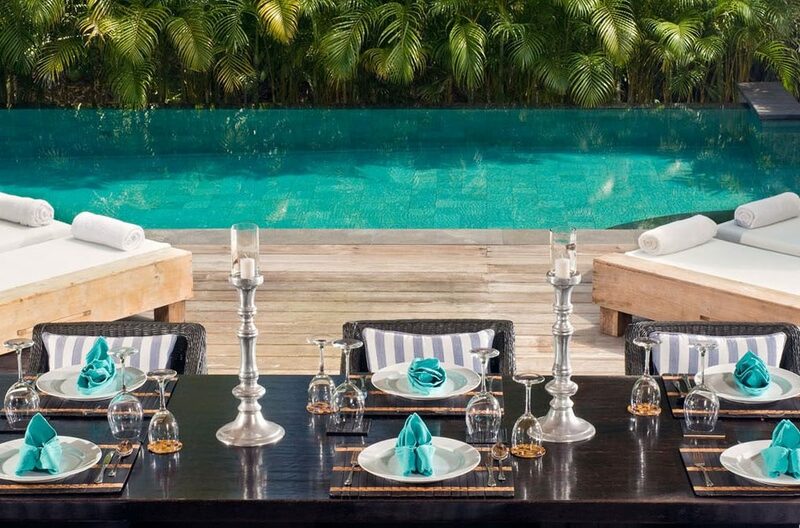 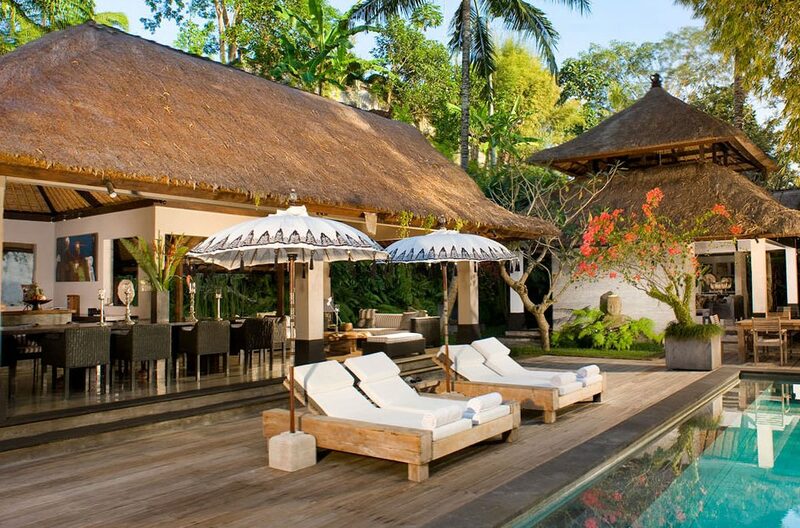 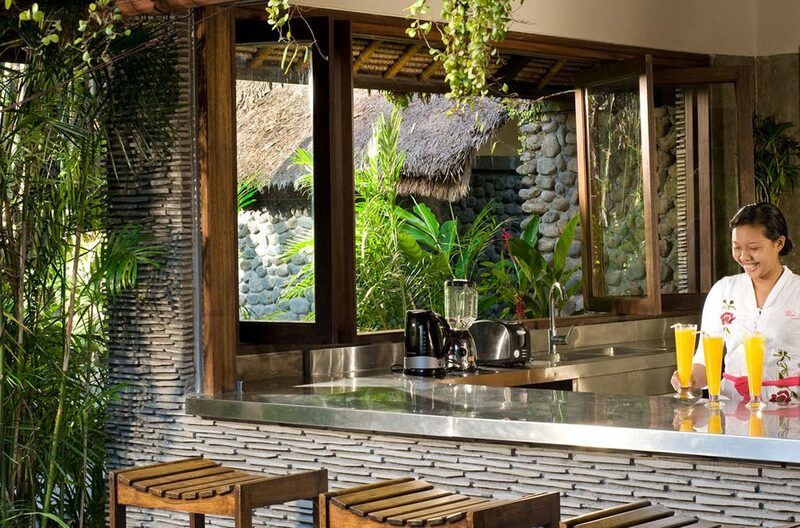 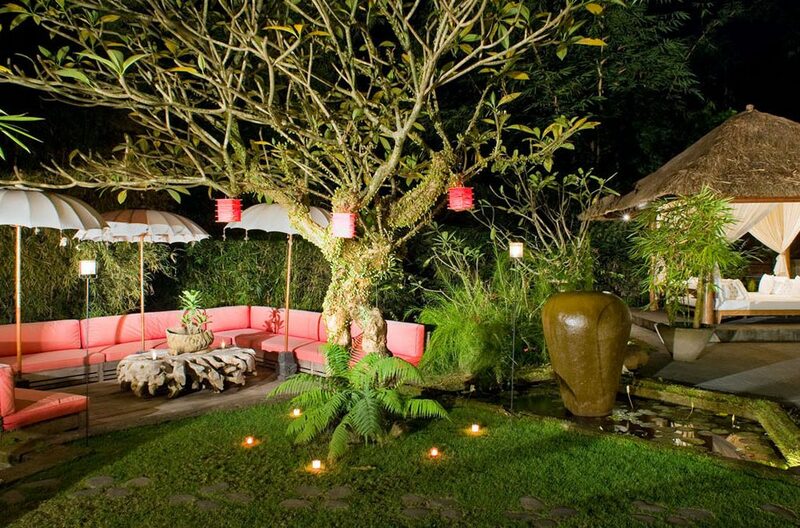 Located at Cepaka, Villa Maya Retreat is apx 8km from Echo Beach where guests can enjoy sunset seafood BBq’s, a selection of hip cafes and some of the best surf Bali has on offer.